We know the British weather can be rather unpredictable and it’s sometimes a good idea to protect outdoor furniture from the elements. Whilst our Casual Dining furniture can be left outdoors all year round (although we recommend you take your cushions in out of the rain), due to popular demand, we’ve developed a range of tailored protective covers that perfectly fit your Casual Dining furniture and protect it and your cushions when not in use. 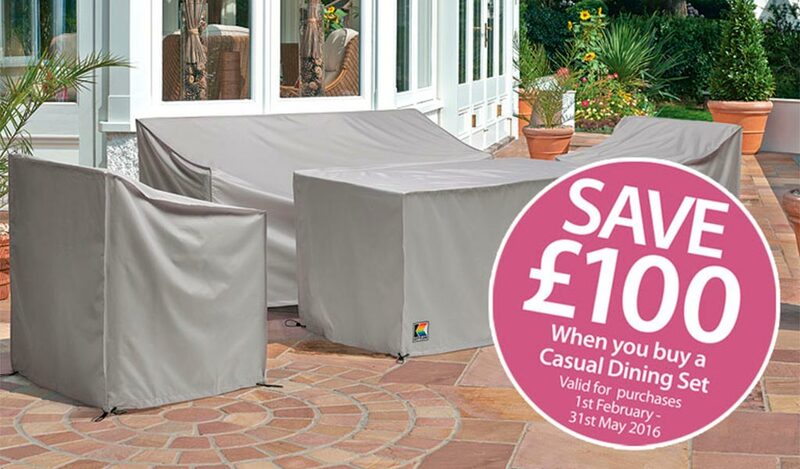 You can save £100 when you buy a Casual Dining set and protective covers on all purchases until the end of May. Please see in store or online for more information.